Painter of landscapes; engraver, illustrator and poster artist. Richard Ranft started by studying in Geneva, where he was a student of Sordet. Later on, he became a pupil of Du Mont and Gustave Courbet in Paris. It was there that he published colour engravings and posters. He lived and worked mainly in Coubert. He was a member, in Paris, of the Salon de la Société des Beaux-Arts. He featured at the Salon des Indépendants. In 1910 he exhibited in Paris at the Galerie Chaine et Simonson. He was the author and illustrator of “Mlle d’Orchair” (A. Savine, 1892) and “l’Illustre famille” (“The Famous Family”) (P. Ollendorf, 1913). He illustrated “Scènes de courtisanes” (“Scenes with Courtisans”) by Lucien (Piazza, 1901) and “Sonnets” by Verlaine. He executed several engravings after Turner. 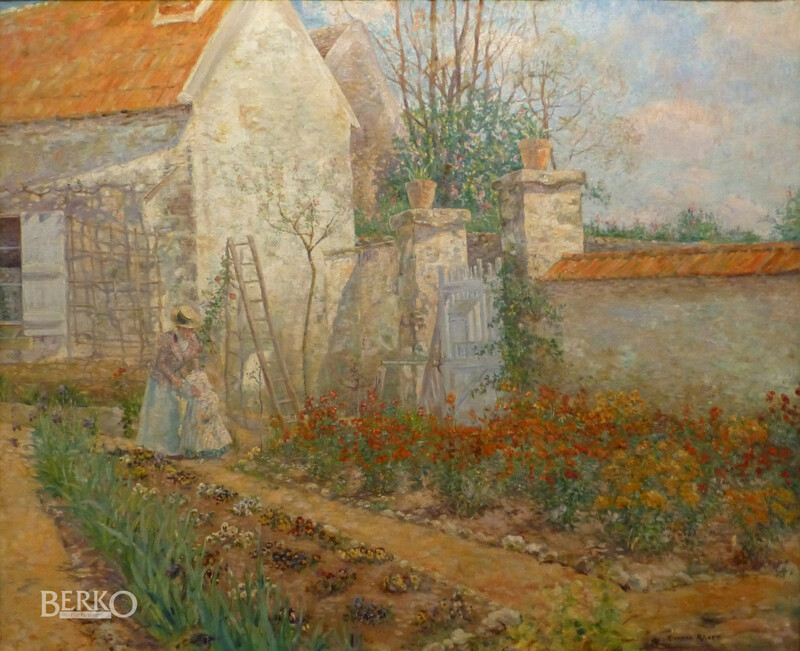 This painting has an inscription on the frame: ‘Le jardin campagnard – Richard Ranft – chemin du Helager à Brys/Marne – à Moutévrain près Lugny (5 marie)’. E. Bénézit, "Dictionary of Artists", Paris 2006, Vol. 11, p. 661.